Never worry about having to replace the battery with the 8ASPS7-WEN0 installed. This solar panel from Ring is meant for use with Spotlight cameras. 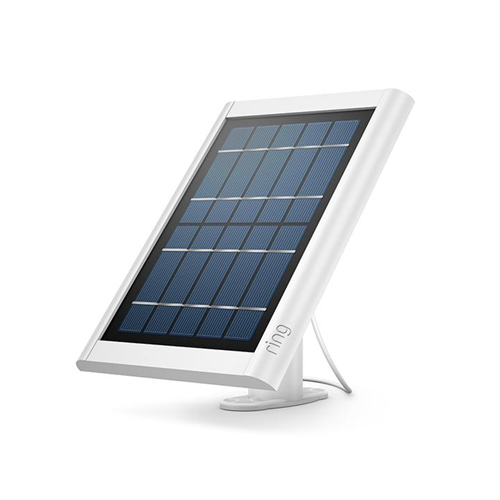 It can power your security camera on just a few hours of sunlight each day. It’s tough and rugged weather-resistant exterior means it can be placed almost anywhere without the worry of damage occurring. Installation is simple. You can get the solar panel up and running within minutes with the toolkit provided. It comes with an adjustable mounting bracket, drill bit, installation screws and anchors, ring spotlight solar panel and screwdriver.